CORPUS CHRISTI - Staked by a three-run first, Missions right-hander Chris Huffman twirled seven frames of four-hit ball Sunday evening as San Antonio beat Corpus Christi, 8-1, at Whataburger Field in the decisive Game 5 of the Texas League South Division Series. The Missions advance to face the Tulsa Drillers in the league championship series, which begins Tuesday night at ONEOK Field. Following an hour-and-a-half rain delay, Hooks starter Brett Adcock struggled with command. Following a lead-off walk to Buddy Reed, Owen Miller sent a 2-1 pitch to into left field to stage runners at the corners. Kyle Overstreet cashed in with an RBI single and Webster Rivas added a two-out, two-run base hit down the left-field line. 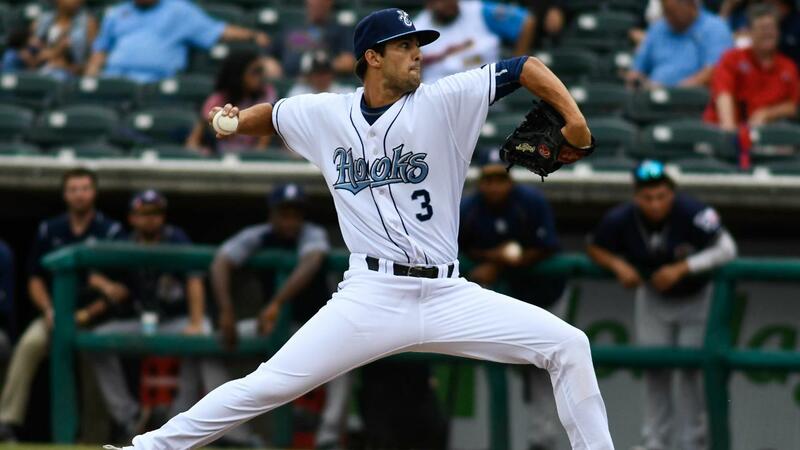 Carson LaRue, who was called up earlier in the day from Buies Creek, entered in relief for the Hooks and retired the first seven men he faced. The Missions got to LaRue for a couple runs in the fourth. Hudson Potts connected with a lead-off single and scored on a Michael Gettys double. Reed capped the frame with a sac fly to right field. LaRue scattered seven hits over seven innings. The 22-year-old right-hander struck out seven and did not issue a walk. Of the three runs charged to LaRue, two were earned. The only marker against Huffman was a two-out solo homer by Randy Cesar in the seventh. David Bednar stranded two in the eighth and Andres Munoz worked a 1-2-3 ninth to nail down the triumph.